We’re pleased to inform everybody that you can now Unlock all iPhone from Telcel Mexico (América Móvil) on UnlockBase Server. Service is 100% tested & working and support all IMEI, including the iPhone 5S & 5C. Turnaround for delivery is 1<>3 Hours from Monday to Friday. 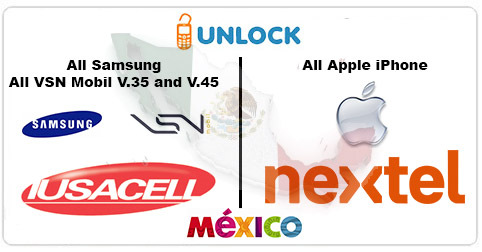 We just add a new service to Unlock all iPhone from Movistar (Telefonica) Mexico. Only “Clean IMEI” and “Out of Contract” are supported and you can expect to receive the confirmation of Unlock in less than 7 workings days.